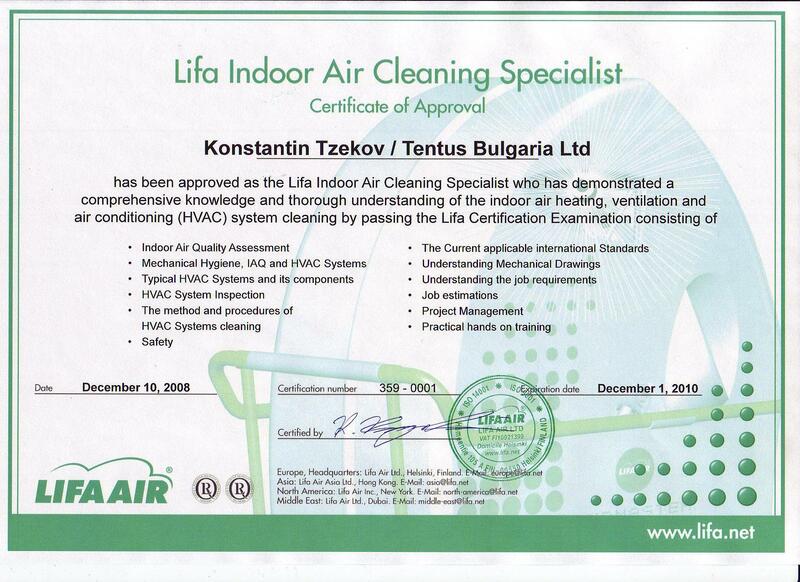 TENTUS BULGARIA works solely in the field of inspection, assessment and professional cleaning with the aim to improve the quality of the supplied air in occupied premises. This is what makes us experts and guaranties for our professionalism. We establish serious and trustworthy relations with our clients and we measure success by effectiveness and achieved results. 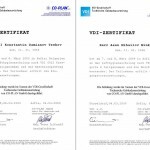 Our experts have been trained and certified by leading engineers with long-term experience. 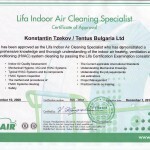 • LIFA AIR – Main European manufacturer of cleaning machines for ventilation and air conditioning systems. Our equipment possesses quality warranty by the Finnish manufacturer LIFA AIR, a world leader in the field. 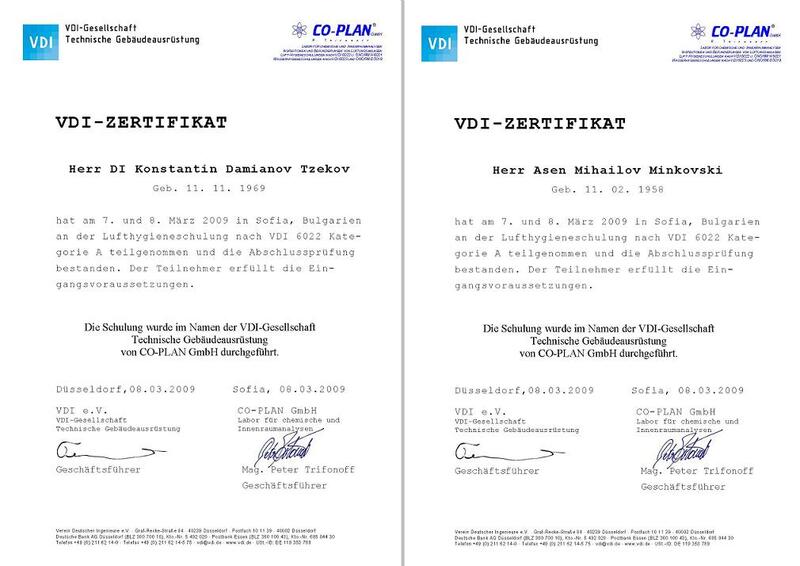 We work strictly following the European standards. If you have decided to pay attention to the amount of dust and dirt covering your workplace, it is time you contact us. We shall assess the condition of your air-conditioning system and propose a solution.